Motion blur adds a sprinkle of emotion to a scene; I find it fascinating because the results are not always predictable so there’s always an element of surprise. If, however, you’re looking for a predictable outcome and wish to create a perfect reflection with motion blur, it’s pretty simple to accomplish. 3. 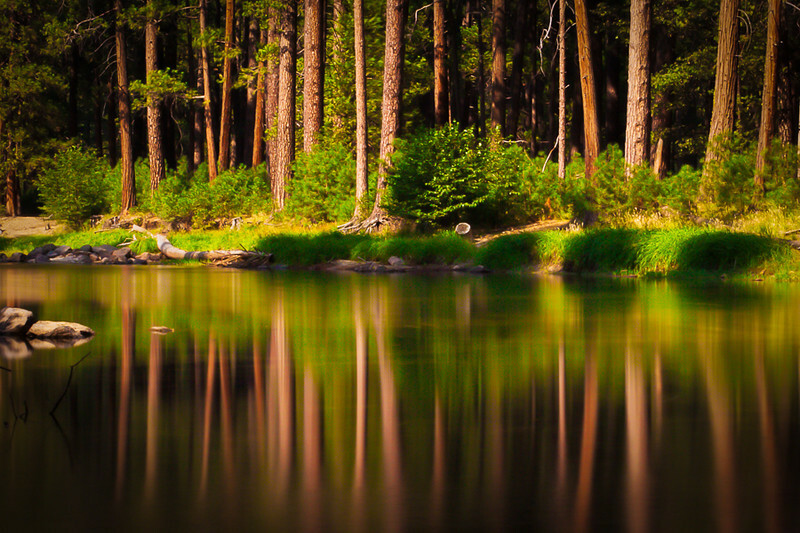 Remote shutter release cable (semi-optional but not really) This shot was taken in Yosemite National Park, the waters of the Merced River, to my delight, were high for August. Taken at a 20 second exposure at F/22, ISO 200. The semi-optional cable release was missing from my bag so there’s a slight camera shake which I do not mind in this image but best safe than sorry. Happy shooting!